Cornelia was born in Norway and since childhood, drawing offered a world with infinite possibilities and creative joy for her. 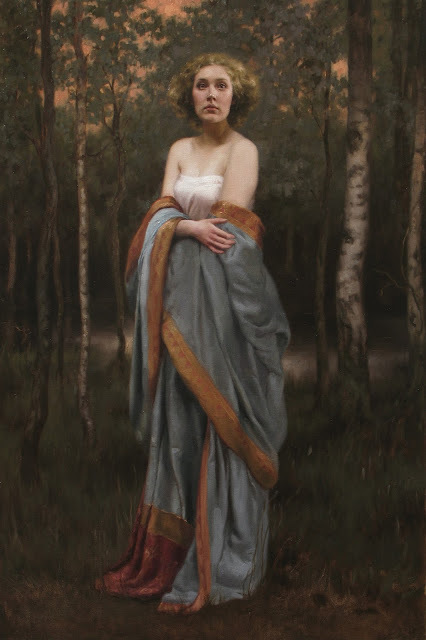 From the onset of her oil painting pursuits in her late teens, Cornelia was particularly interested in rendering the human form and emotive expressions through portraiture and mythological motifs. During her training at The Florence Academy of Art, she further developed a deep affection for the genres of still life, interiors and nature motifs. Cornelia achieved a Bachelors of Fine Arts from The University of Victoria, B.C, Canada in 2003. During her time at University she became acquainted with the paradigms of conceptual art. In the summer months of 2002-2004 she studied with Odd Nerdrum in Norway. 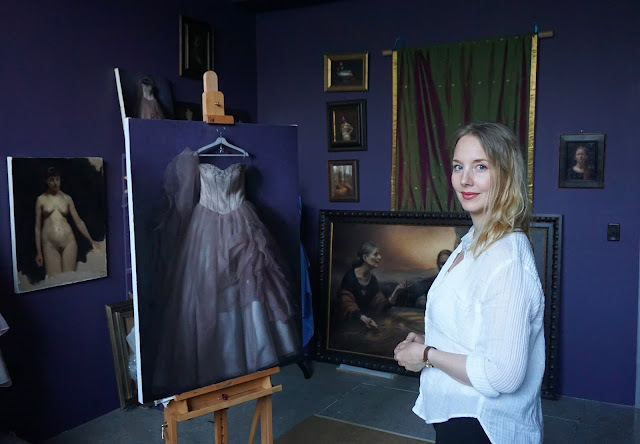 Following her BFA degree, she pursued a classical realist training at The Florence Academy of Art in Italy, where she graduated in 2007. While a student at the FAA, she began teaching as a Teacher Assistant and became a Principal Instructor after graduation. She taught at the Florence Academy of Art in Sweden from 2010-2016 and recently moved to the US where she is currently teaching at The Florence Academy of Art, US Branch. She is a Award recipient of the prestigious International Art Renewal Center (ARC) Salon Competition. Chalk & Charcoal on Roma Paper. 40x60 cm 2016. 12th international ARC Salon Competition. Elizabeth Merchant - curator at Focus Point Shape has assigned me to periodically search for artists of your caliber. However your comment profile process could benefit from more possibilities. I just discovered your paintings and I'm blown away. How do I contact you? I would love a portrait. I want to become a painter that's why i'm taking my arts class after my studies. Because i want to become creative and effective. Yfinan-Virtual financial analyst solutions combining outsourced financial analyst capacity with knowledge-based automation.